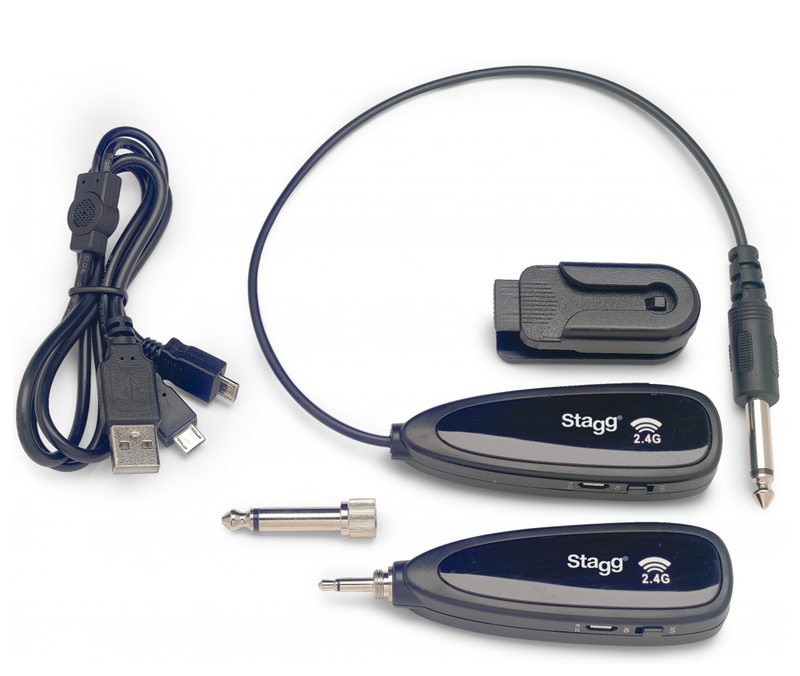 A wireless 2.4 Ghz Guitar Transmission condenser microphone transmitter and receiver. They couple automatically and are easy to operate. Both the transmitter and receiver work on rechargeable lithium battery and you will get 6 hours of use from a single charge.